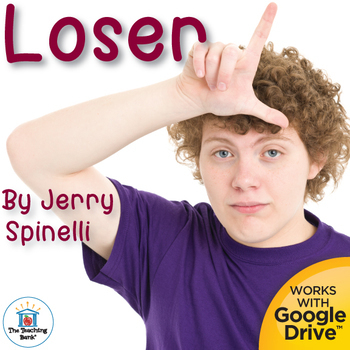 Book unit for Loser by Jerry Spinelli, is Common Core Standard aligned and contains both a printable format, as well as a Google Drive™ compatible format. This is a complete novel study that includes many individual products bundled together to offer you extensive savings! 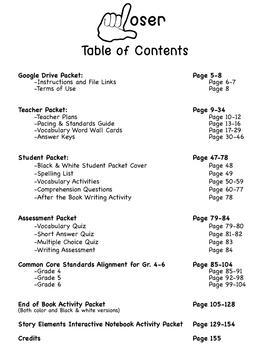 This comprehensive unit also includes Google Drive™ format files, additional writing activities, teacher plans, and CCSS alignment that you cannot find in the individual components. This complete novel study is by far your best value! This unit is designed to be used with some student/instructor interaction, but can easily be used as an independent study for the student. It is written for the 4-6th grade reading level. This unit works great in a one-on-one setting for homeschool or for a teacher to use as a resource in the classroom for a small group or entire class. The unit is designed so that you can start teaching immediately with little to no preparation on your part. Great time saver! •Vocabulary & grammar activities for 23 words. •Comprehension questions in a short answer format for deeper thinking for every chapter. •Extension activities that correlate with the book. **Only available in this complete Novel Study Product! 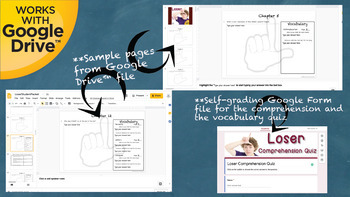 **Google Drive Self-grading quizzes are only available in multiple choice formats. Common Core Standards Alignment for Grades 4-6. This is included at the end of the unit so if you do not need it you can easily discard without changing the unit itself. 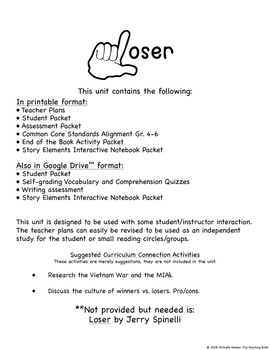 To see how this is set up please see the free preview for the CCSS checklist in its entirety. →Please download the free preview to see sample pages of all parts of this unit as well as the complete CCSS alignment checklist (20 pages) for grades 4-6 in its entirety. Please email with any questions you may have! • Wonder By R.J. Palacio Novel Unit Study~ Common Core Standards Aligned! • Esperanza Rising Novel Unit Study~ Common Core Standards Aligned! • Holes Novel Unit Study~ Common Core Standards Aligned!